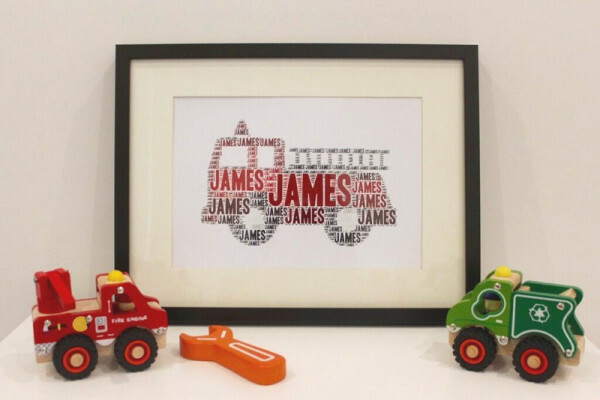 Oh no – another absolutely gorgeous way to personalise a nursery or child’s room! I may need a dozen kids (and one hell of a house) in order to fit all of the adorable things you can custom-order for little ones. 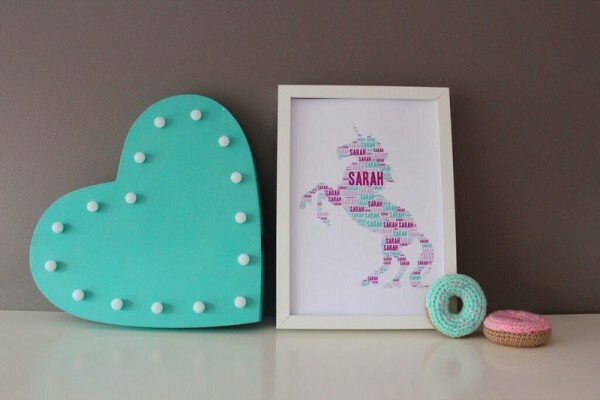 I’ve seen heaps of cool things lately and these Name It word cloud prints from Happy Ella After are definitely high on my list of favourites. They are personally designed by Kate Korber, who is a deputy school principal by day and, quite clearly, a creative wiz by night. In fact, the idea for her Name It prints came about because similar imagery is used in schools to visualise children’s thoughts. With a Happy Ella After Name It print, you can have any image, any colour and any wording. They are completely original. 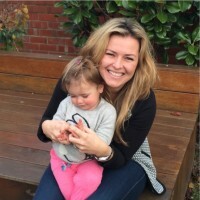 You provide the inspiration and idea which bests suits your child’s interests, love and passions, and Kate will come up with a design for you to approve. And I dare say her approval rating is high. I had to choose a selection of pics from what was an absolutely adorable library of all of Kate’s work. It was not easy to narrow down, I assure you. The final product is your design printed on a lovely thick 300gsm paper. It is shipped to you free within Australia. To order, visit the Happy Ella After print store. When you order, include information about your preferred image, wording, colour and some notes to help Kate understand what you’re after. You can choose from two sizes: A4 ($20) or A3 ($35).